SDN UK hosts a day of inspiring and engaging talks form industry luminaries and thought leaders exploring the future of the Service Design industry. 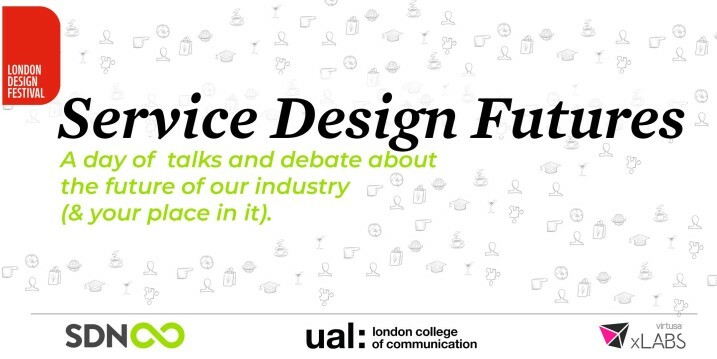 Join us at the London College of Communication during London Design Festival for a day of talks, panels and networking. 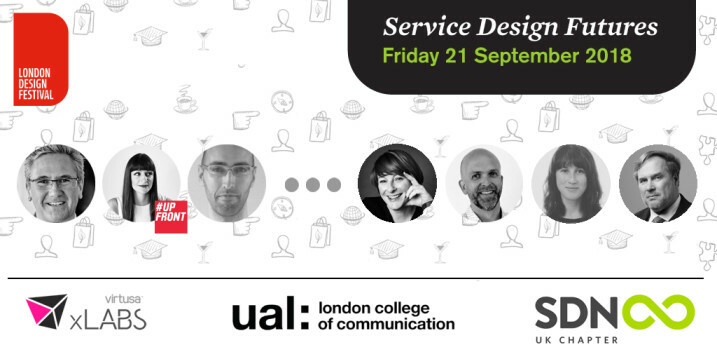 We'll focus on how the Service Design space is evolving and explore how the role of practitioners is changing, how companies view Service Design and the business value that it creates and how students are being prepared for the brave new world of work. Booking now open for Service Design Futures - a one day Service Design conference, providing world class speakers, focussed on the future of our industry. Come and join the debate on the 21st Sept at LCC. Student & Professional Tickets available here! Thanks to all at LCC for hosting the event. Come and hear speakers from Designit, Fjord, Futurice, 02, The RCA, Speculative Design Team, NOBL Collective, Livework and Barclays. to full program for the day published yet?